A GYMPIE mother is fearing for the life of 7-year-old Sylvanna. Caroline Harris last saw the Murray Darling carpet python in her terrarium on Saturday morning, before Ms Harris travelled to Gladstone for the night. Ms Harris returned on Sunday afternoon to find Sylvanna gone, and a search revealed the 6ft-long snake was nowhere nearby. The Hilton Rd resident is desperate to find Sylvanna. "I've had her longer than I've had my daughter," she said. "I call her my 'scaly baby', and she's definitely a big part of my family." She asked if residents near Hilton Rd could check their yards for the snake, especially if their own animals are making a ruckus. Ms Harris' 4-year-old daughter Elizabeth is also missing her friend. 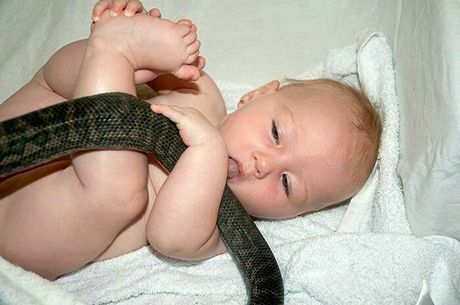 "For my daughter, she gets quite frightened with cats that can scratch, and dogs bark a lot, whereas the snake will just sit there," Ms Harris said. 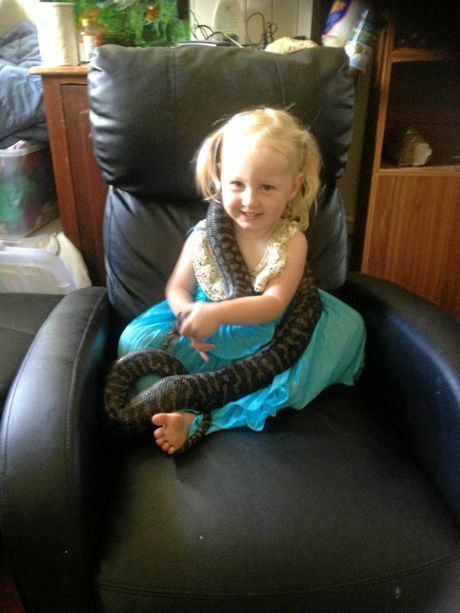 "She can sit on the couch and the snake will just move across, because the snake likes being near warmth, and I think she feels safer when she's with people." Ms Harris is most scared Sylvanna could be attacked by dogs, cats or birds. "Anything that can make puncture wounds," she said. "If something bites at her and she gets a puncture wound, snakes don't heal very well. "Particularly a domestic snake that's never encountered a threat, she probably wouldn't survive any dog bites or anything like that." At almost eight years old, Sylvanna is relatively young in her expected 30-year lifespan. This is the first time she's strayed away from the family home. "She's never got out of her enclosures much over her life," Ms Harris said. "I think this is the third time, and it's the first time I haven't been able to find her; it's the first time she hasn't been right beside it." It is possible she was spooked by the weekend's storms that battered parts of the region. "Snakes can't hear or see very well, but they feel vibrations," Ms Harris said. "Hailstones on the shed roof, that would have been a very powerful vibration. "It might have made her want to look for somewhere safer, somewhere where that vibration wasn't occurring." Residents looking for Sylvanna should check sheds and other enclosed spaces for signs of the snake. 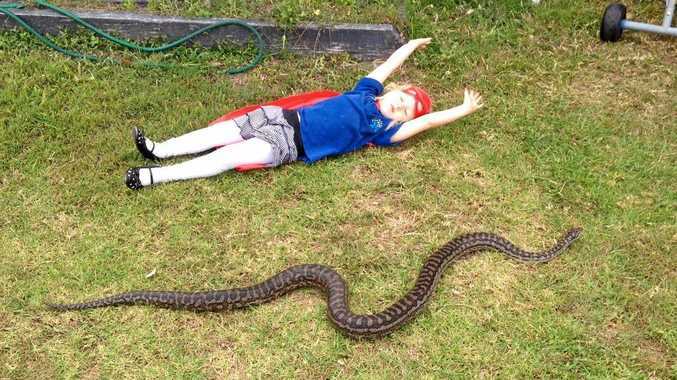 "Snakes like being somewhere warm and somewhere hidden, so I'm imagining she's probably aiming for sheds or houses or chook pens or something where there's shelter and warmth," she said. "She'll be curled up somewhere where she feels safe." Ms Harris said snakes make wonderful pets. "They're not loud and they don't jump around, and I think that's really good for little ones," she said. "She'll crawl onto your lap, and just curl up and stay there." As a mum, university student and part-time worker, Ms Harris appreciated how easy snakes were to care for. "They're really low-maintenance, which works for me," she said. "At Sylvanna's age, I only have to feed her once every second month." If anyone has any information on Sylvanna's whereabouts, contact Caroline on 0438 527 070.